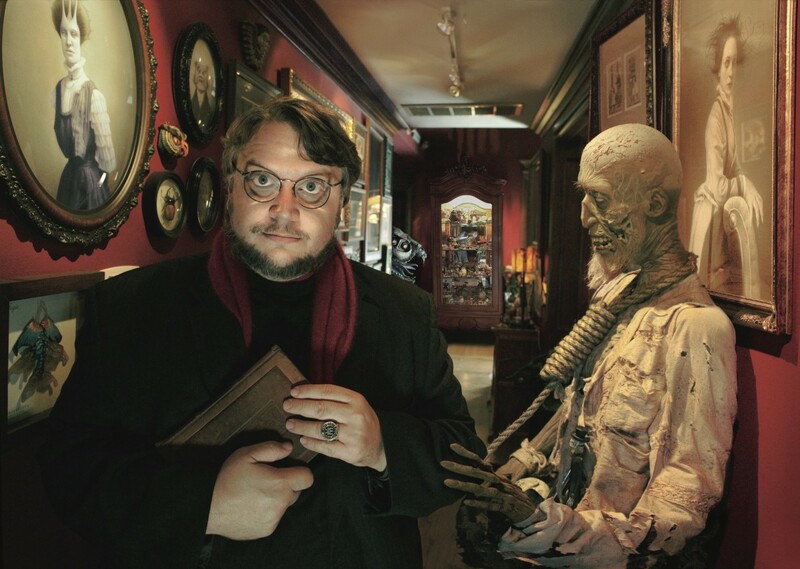 Although school doesn’t officially start for another couple of weeks, Toronto cinephiles can get some higher learning starting tonight, as Guillermo Del Toro returns to TIFF Lightbox to host the Gothic Master Class. This will be the fourth time around for Del Toro at TIFF, having curated and hosted the Fright Nights Series (2011), The Alfred Hitchcock Master Class (2012) and Ken Russell’s THE DEVILS with Richard Crouse ( 2014). For this series, Del Toro has hand-picked three films which best represent the Gothic cinematic tradition, tying into the imminent approach of his Gothic-heavy ghost story, CRIMSON PEAK (due out in October). Each film will be bookended by an introduction and a post-screening lecture by Del Toro, delving into the origins and signifgance of both Gothic literature and film. It all starts tonight with a screening of Rebecca, Alfred Hitchcock’s adaptation of Daphne Du Maurier‘s novel. A fitting lead-in, as Del Toro is considered one of the world’s pre-eminent Hitchcock historian/experts, as evidenced at his previous Hitchcock Master Class. Following that, TIFF will also screen David Lean’s Great Expectations, based on Charles Dickens‘ immortal classic, as well as Jane Eyre, starring Orson Welles and Jane Fontaine, directed by Robert Stevenson and adapted from the novel by Charlotte Brontë. As of now, all tickets are “Rush” status only, but take my word for it: it’s worth the wait if you manage to snag a ticket to even one of these events. Put simply, the man knows of what he speaks. With an encyclopedic knowledge of film and folklore, as well as being an incredibly entertaining (and occasionally profane) speaker, the lectures are worth the price of admission alone. I will be covering the inaugural screening tomorrow night for my old alma mater, Rue Morgue Magazine, so expect to see my review of the night’s events on rue-morgue.com, as well as right here. Need more info? Head over to TIFF’s website for all updates and information as they become available. TIFF Lightbox is located at 350 King St W, in the heart of Toronto. Classic cinema and education from one of the most revered filmmakers of our time under one roof? There are certainly worse ways you can spend the end of summer.